Examinations - Earl Grey Veterinary Services P.C.Ltd. We require that all pets receive an examination before services are performed. 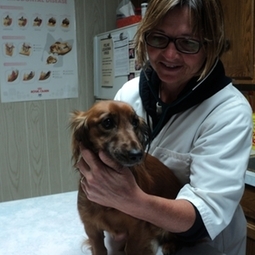 This requirement is a legal one that establishes a veterinary-client-patient relationship. Due to the shortened life span of our pets it is important to catch potential problems early.